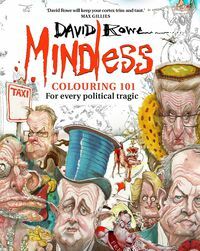 David Rowe was born in the Netherlands in 1968 and arrived in Canberra at the age of four. He started drawing when attending St Edmund's College and after dropping out of every tertiary institution available found work on the Canberra Times. After a brief stint in London he moved to Sydney to work at Fairfax. For over twenty years his award winning cartoons and caricatures have appeared in the Australian Financial Review and other Fairfax publications.